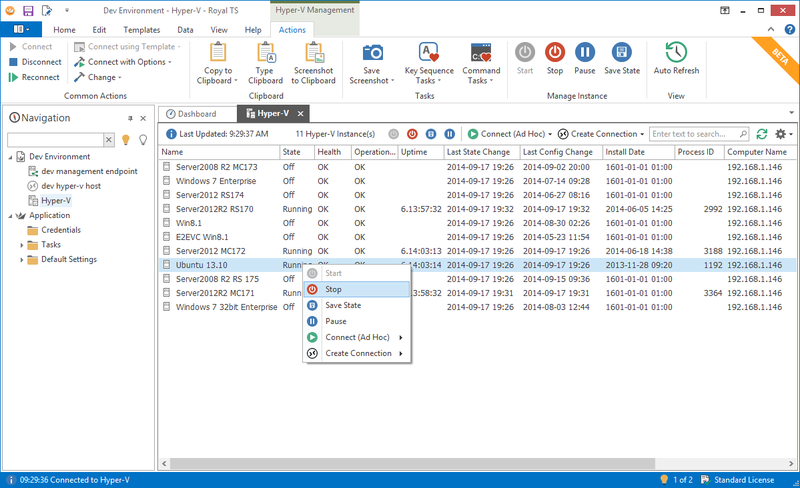 Remark: This article belongs to a series of articles explaining Royal Server and the new connection types we have introduced with Royal TS V3 (for Windows) and Royal TSX V2 (for macOS). From our Royal TS X client, you can now start/stop/restart Hyper-V instances or quickly connect to them via RDP. As with other connection types, you can specify more than one Computer Name (separated by a semicolon) to get an aggregate view of all your Hyper-V machines. The column “Computer Name” helps distinguish the Hyper-V hosts. We made sure that you can use the exact same document in clients running on both platforms. They can use the same file even at the same time! 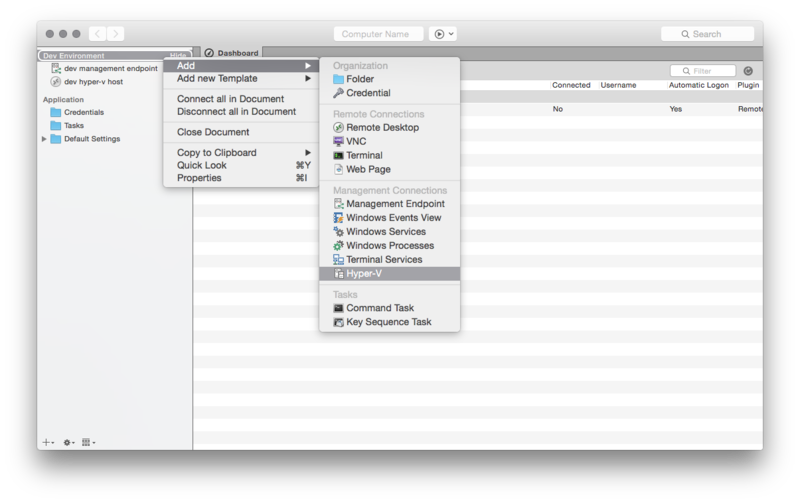 Just make sure you have configured “Merge file on save” in the document settings. 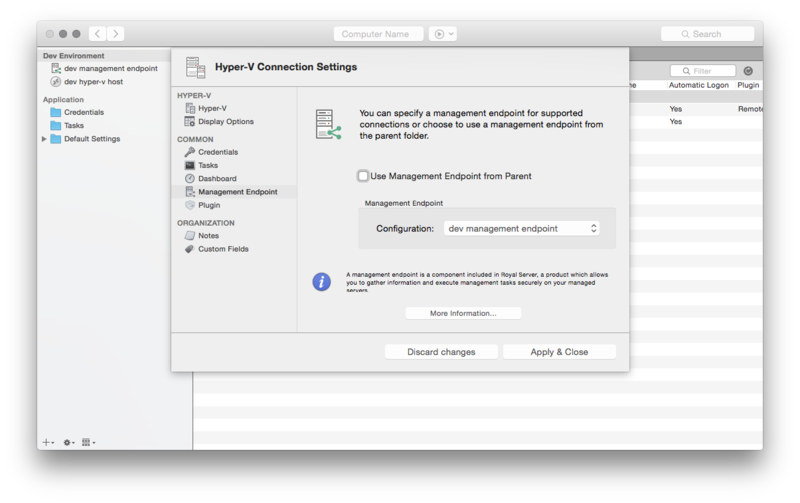 You get this error in Royal TSX (for macOS) when you try to use a connection that has “No Management Endpoint selected.” In this case, choose a correctly configured Management Endpoint which points to a Royal Server installation. 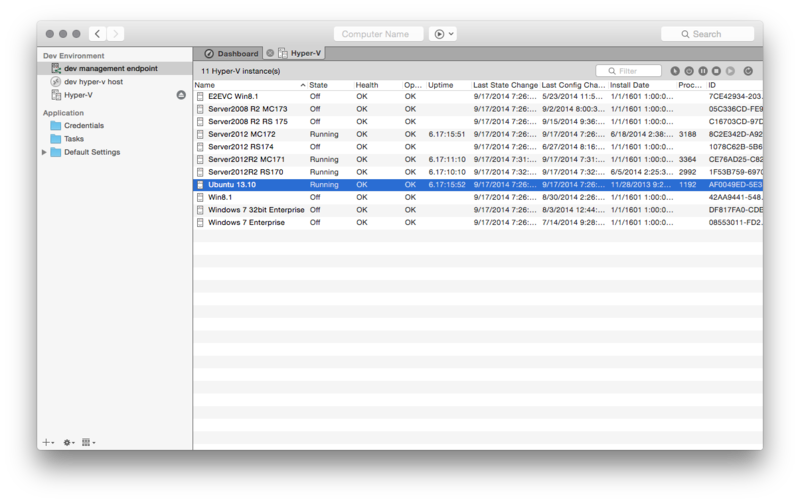 This connection was probably created by Royal TS (for Windows) using “Direct Connect (No Management Endpoint)” which works in Windows but does not in macOS ( Find a detailed explanation here ). 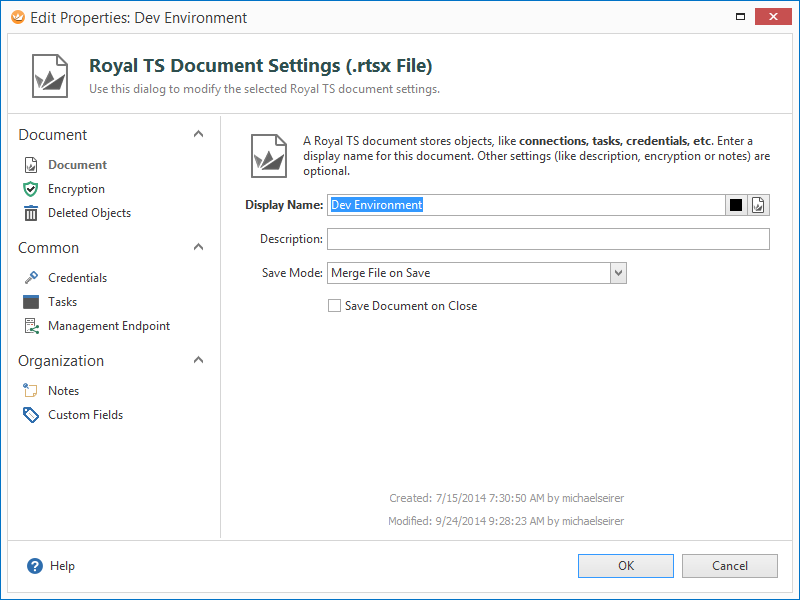 So if you want to fully share a document between platforms, make sure you have a working Royal Server installation configured that is accessible from both platforms.